Hey, hey! It’s that marvelous time of year when I love cozy-ing up my home. 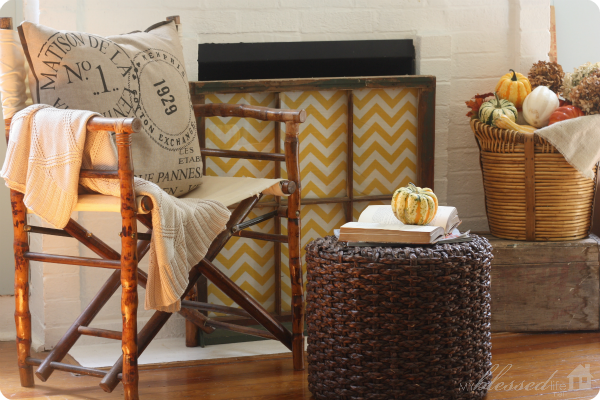 I pull out throws, blankets, quilts and different throw pillows for cooler weather. If you stopped by our house in the past few days while it’s been raining and storming, you would have likely found us all wrapped up in throws. Why do I love throws and quilts so much? No matter what season it is, you can find lightweight throws or heavier throws. Cozy is good year round. Having a variety is a good idea! Throw or drape them over a chair, sofa, ottoman, on a bed, or a bench. I love the layers and textures that these soft goods add to any room in my house. Have you ever heard of a fabulous recipe only to find that it has eleventy-million hard-to-find ingredients? It’s so frustrating! Well, thankfully throws and quilts are super easy to find at all sorts of home stores. 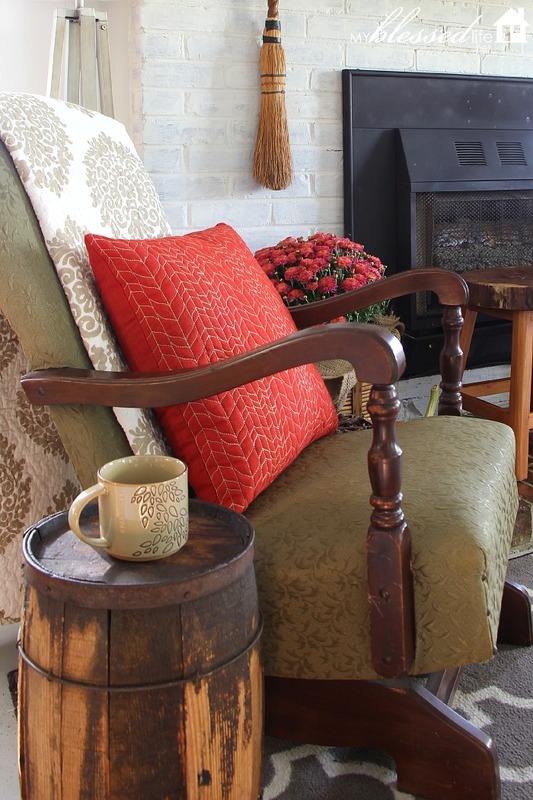 I love the pretty, stylish throw pictured above as well. It is from Tiny Prints. Who knew they had throws that you can personalize?! It’s warm and sooooo soft. You can choose from navy, grey or off-white. Love them! 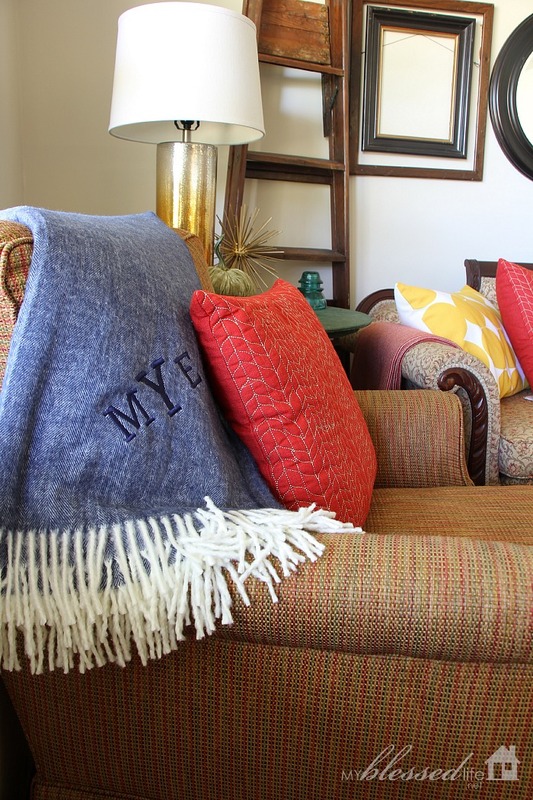 Do you decorate with throws and quilts at your house? Don’t forget to enter to win a $100 credit to Tiny Prints! Leave a comment and tell me what Tiny Prints throw is your favorite…and also how you would personalize it! Bonus entry: Share this giveaway on Facebook, Pinterest or Twitter, and include a link back to this post and leave a 2nd comment with where you shared. This giveaway will end on Friday, October 17th, and a winner will be chosen via random.org. I love the herringbone throw with a single initial. I definitely like the blue one you had with one initial! I love how you used them, Myra! I also shared this post on Pinterest! I like the gray herringbone with a single initial. I really like all the colors. I actually can think of a place in my house for each one of them. I think I’d have to go with the gray one with a single initial as my top pick. Myra, your house is so warm and inviting. I can just imagine y’all all snuggled up, warm and cozy, while the storms roar outside. I’ve heard of Tiny Prints, but I had no idea they carried items for home! Thanks for the link to their website–it was fun to peruse their goods. I must say I’d love one of those herringbone throws; it would be fun to monogram it with a “P” for Parham. Thanks for the chance to win. Love the Herringbone single initial in gray – I’d use our last name initial and throw it over the back of the big easy chair in our living room! I like Herringbone Single Initials in Storm. Would monogram it with W, so that my son would know who’s thrown is. He seems to always confiscate all the good throws and blankets! Funny, I’m ordering a Pendleton throw this weekend! I love the soft gray throw with the single initial…..love the color and the soft texture! I would personalize it with a capital A for Anderson! I shared this post on Pinterest…..
Hi There! I love the Herringbone Single Initial (“W” for Wood). I like the single initial monogram throw in navy and ivory. I am just trying out navy and teal accents in my living room with a different sofa than I have had. These look so soft and welcoming! Love the herringbone with monogram (storm color). Thanks! I love the simple monogram in gray (Storm). It looks SO cozy!! I love the blue one you shred also and just might have to look at getting one and of course with a single initial of N for mine. I love the herringbone single initial in navy. It has a classic, simple look to it that would look beautiful in any room. I love throw blankets! shared, I like the gray one initial makes it personal. I really like the herringbone single initial in Storm. The color combo with the gray and orange are so cozy and scream fall! I love the storm herringbone throw! It would go super with my gray checked sofa! I would personalize the gray, storm throw with a single initial, A. Sorry I forgot this in my previous post- I have a cold and am a little loopy! I like the single initial in gray. Storm Herringbone with a single initial. i like the gray one. I would probably get our last name on it. It would be fun to win, I haven’t gotten a new throw in a while! These look so perfectly fall! I would love to snuggle up to the Herringbone Single Initial: Storm Throw Blanket with a mug of hot cocoa! What a generous giveaway from Tiny Prints! They are all beautiful, but I really like the Storm Herringbone with a single initial. The herringbone throw is beautiful with the single initial. Looks so soft and comfy! I love the Herringbone Storm with initial of our last name. Beautiful! I love the navy and would personalize with the our last name initial. I love the blue one. It looks really soft. I would have my name on it. I’d have to say the soft herringbone in Storm with the single initial is my fav. 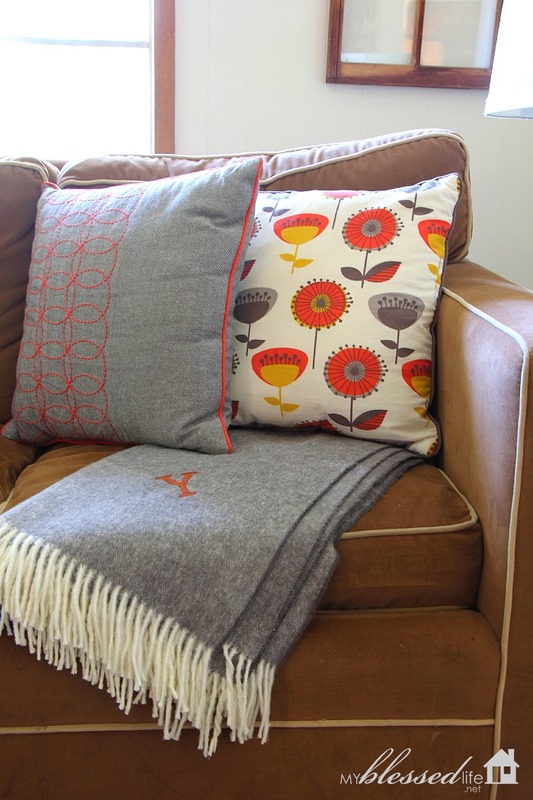 Throws add such a warm, cozy factor when the day’s turn cooler. How gracious of Tiny Prints & you to share their lovely selections!